Judging from the half dozen shirts I see my son wear frequently, I was under the impression that he didn't have many clothes that fit him anymore. 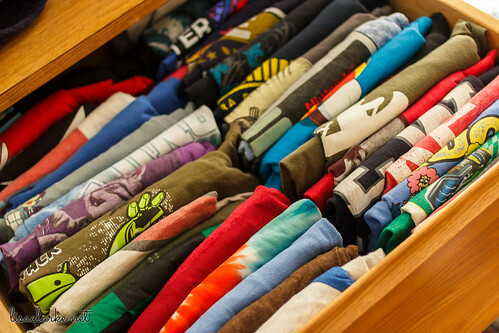 So today I bought him a pair of new t-shirts and decided to organize his laundry for him... I definitely didn't need to buy those two new ones! I found four other unworn shirts with the tags still on them, too.